PART I: First Day August 18th. Will be a global telecast for thousands of Southern Cameroonian/Ambazonian Stakeholders and Friends of Ambazonia worldwide, who cannot travel to the US but are invited to make their voices heard, focusing on The Modalities of Separation of the Federal Republic of Ambazonia from The Republic of Cameroun. Leaders will recommend and vote on a Final Communique based on global inputs. The invitation for the consultative assembly is coming after a group of Southern Cameroons religious leaders led by the retired Christian Cardinal Tumi, the Synod Clerk of the Presbyterian Church in Cameroun and leaders of the Ambazonian Muslim community, met in the economic capital of the colonial master La Republic du Cameroun (LRC) two days ago, and convened what they called the Anglophone General Conference (AGC). According to the clergy men, the Conference which is scheduled for 29th and 30th August 2018 is to discuss the issues at stake in the ongoing war with colonial Yaounde, and prepare a team for a possible dialogue in relation to the conflict. The said conference has however received a lot of backlash from Southern Cameroonians/ Ambazonians, for the following reasons: It is being organized in Buea, the capital of Ambazonia, by a die heart Federalist Dr. Simon Munzu who doesn’t believe in a free Ambazonia. This means that all restoration leaders will not be able to attend because of the determination of the colonial dictator to assassinate all Ambazonian frontline leaders. The conference is expected to take place in Buea on the 29th and 30th of August, 2018, one month to the colonial Presidential elections which the colonial president Paul Biya desperate want to organized in Ambazonia and consolidate his colonial kingship in both territories of the Cameroons. Ambazonians therefore see the said conference in Buea as a leeway for Mr. Biya to come in and organized the sham elections to enthrone himself again as the slave master over Ambazonia once. The wisdom of the Interim Government to schedule the Consultative Council meeting before the AGC in Buea and its decision to make it inclusive by inviting all the representatives of Ambazonias whether Federalists or restorationists, is worth praising. It is evident that majority of Ambazonians want to recover their lost country from the colonial master. The consultative meeting in the USA will therefore be an opportunity to make the stand of majority of Ambazonians across the globe known concerning the AGC of August 29th and 30th in Buea. Ambazonians had long waited for such a meeting of all liberation leaders, which had not been forth coming due to disagreements and dichotomy in revolutionary opinions by the different revolutionary leaders and groups. The summoning of the AGC by the religious leaders two days a go has therefore acted as an advantage to the revolution as it will now bring all the leaders together, to chat a common course for the revolutionary journey. After all, everybody all this while has been heading to Buea, though in different revolutionary trains and captains. It is therefore time to use one train and a captain at a time, supported by able assistants, in order to avoid delays, traffic and confusion on the way to freedom. The undercut of the Munzu-Tumi saga by the global Ambazonia Movement indicates the biya criminal regime has been shamefully caught with her pants down. Ambazonian’s thinking machine is fast and resolute that they always take the bull- lrc by the horns. There is no turning back no matter the lethal force biya exerts on Ambazonia now. Our DANE GUNS have worked WELL and will never be laid down until Ambazonians is TOTALLY free from biya’s insanity. Sad to say biya foolishly believes ONLY in BRUTAL FORCE AS THE SOLUTION TO HIS INSANE POLITICAL PROBLEMS. biya and his generals are in a hard place and too ashamed to withdraw from Ambazonia. However they will STAY ON TO lick their sores. shame on u all, l hope u.guys a happy with tje killing of tje chief while lying that it’s lrc. When u guy were claiming the arrest of tho chiefs videos evidence the author of this idiotic audio out there didn’t say it was LRC now that u guys have killed him u want to blame njume but there is a video of his death out there with 2 others chiefs with their hands tied behind their back. I suggest all of u ambazozo go watch it be4 blaming others. Take responsibility for ur actions n stop with slogans like our boy don’t kidnap nor ask for ransom, n they definitely will not kill our chiefs. U ain’t fooling no-one. Shillah, why should we kill a chief who stood for the struggle? The only one with the motive to kill someone who doesn’t support gov’t’s narrative is LRC . Just like LRC is actively going after clergymen who can’t be bought at any price. Tabot if that’s the case why is it that baraliar has publish abt it😅😅😅😅, u see he never stood for ur terrorism n u know that. He was a hostage n could not say otherwise. Just like those others 2 tied with their hands behind their back. Man up ambazozo chiefs killers. OUTFOXING THE FOXHOUND. Brilliant move and congrats to Dr. Sako Ikome and the interim government, his advisers and indeed all 8 million Ambazonians world wide who today are out smarting Etoudi’s machiavellian plans. NOW WHAT, Paul Biya? Dare we say, BRING IT ON. BUEA IS NON-NEGOTIABLE. 8 million anglophones don’t live in the USA, when you say majority be careful. Now you condemn AGC in Buea and endorse the sham “All Ambazonia Consultative Council (AACC)” in the USA. This will some day end like the conclave in Nigeria. The AGC will only hold in Buea over biya and his criminal regime’s dead bodies. (chiroma). The war biya declared will be fought until the UNO comes in to right the wrongs committed on Ambazonians. The way out is for Ambazonians to resist biya and his criminal regime all the way. 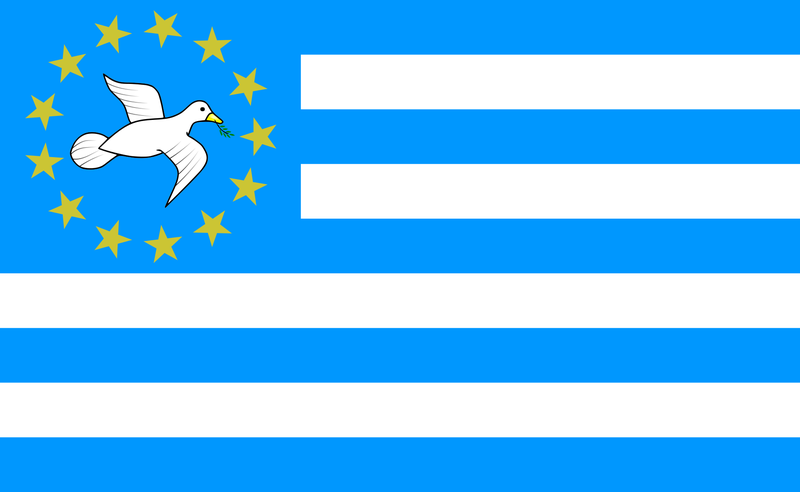 Lrc has no territory in Ambazonia. We have international boundaries and no union treaty with Lrc. Why does Lrc think Ambazonia is owned by them? The UNO needs to come in and settle this matter because it cannot be resolved by Lrc. It will be then that Lrc deceit and genocide in Ambazonia will be unveiled to the whole white world!!! You think UNO can go against FR? You guys are only prolonging the suffering of our youth in the forest. For sure the UN will come in. It just takes time. The international community slowly understands what is going on. And foolish LRC will help us too since they reject any form of dialogue. Not even the one Christian Tumi tried to initiate. The day of reckoning is coming on lrc and Ambazonia shall have the last LAUGH – AND IT SHALL BE THE BEST!!! the IG has our support to do all it can to form a unified front.